Welcome home to this beautiful 3280 sq. ft. home on 53 Acres, out of subdivision! Property has two entrances , one leading to the barn and a paved entrance to the house. This 3 bedroom home features a full wall of South facing windows and two feature brick walls with wood burning fireplaces and new floors in 2013. 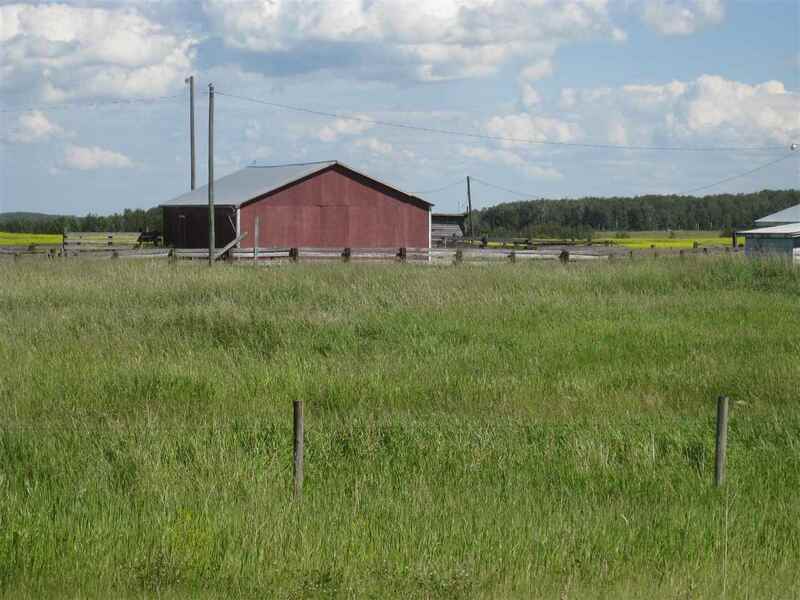 The property has a 10 stall barn with in-floor heating, kitchenette and half bath. The second barn has 8 stalls, tack room, feed storage and a loft. There is a second detached double garage/shop with a dog run. This is the perfect set-up for the horse lover!! And a indoor riding arena, a outdoor heated swimming pool with electric controlled cover, sauna, a veranda covering the north side of the home, property is fence with many horse sheds surrounding the barn area.